Memorable for bringing back to life timeless classics of informality with a bold, contemporary approach and embellishing retro singularities, Mr & Mrs Italy is the go to brand when one is looking for high-end materials and impeccable design. 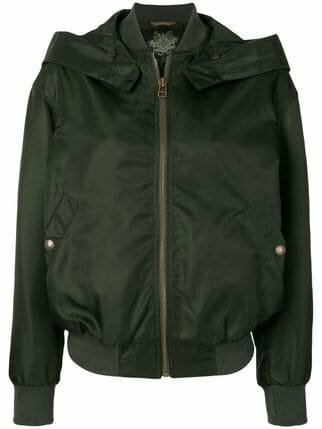 Crafted in forest green, this practical bomber jacket features a detachable hood, a ribbed collar, a front zip fastening, long sleeves with ribbed cuffs, a straight ribbed hem, a branded rear patch and side snap buttoned pockets. 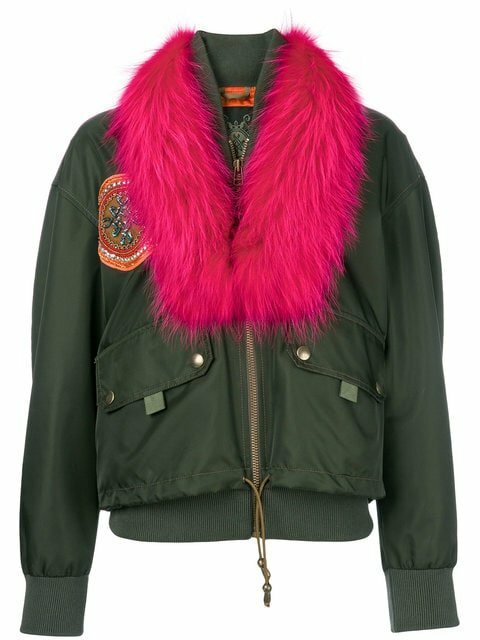 Mr & Mrs Italy put their signature spin on the traditional Army Parka jacket, infusing the practical silhouette with bright colour palettes, sequin embroidery and other feminine details. 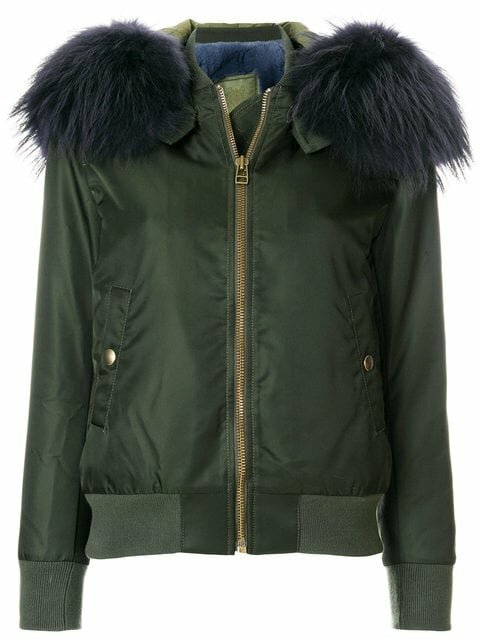 This luxurious jacket has been fashioned from khaki green cotton canvas, boasting a striking blue raccoon dog lining and sleek leather trims. The essential outwear piece also features a fur trimmed hood, long sleeves, button cuffs, a zip and press stud fastening, flap pockets, a drawstring waist, a short length, a drawstring hem, a back slit at hem and a slim fit. The luxurious fashion maison Mr & Mrs Italy has striking furs as its trademark. Present in almost every garment and accessory of the brand, the colourful textures add a spin to any outfit. 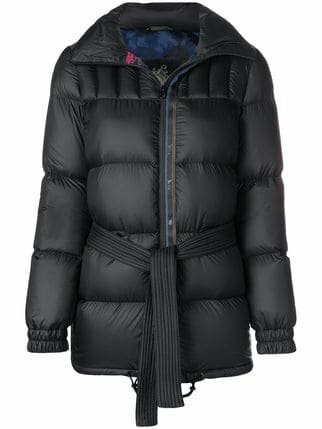 Tailored in Italy and expertly constructed from goose down and raccoon fur, this belted padded jacket from Mr & Mrs Italy features a detachable fur trimmed hood, a funnel neck, a front zip fastening, long sleeves, elasticated cuffs and a feminine and elegant belted waist. The luxurious fashion maison Mr & Mrs Italy has striking furs as its trademark. Present in almost every garment and accessory of the brand, the colourful textures add a spin to any outfit. 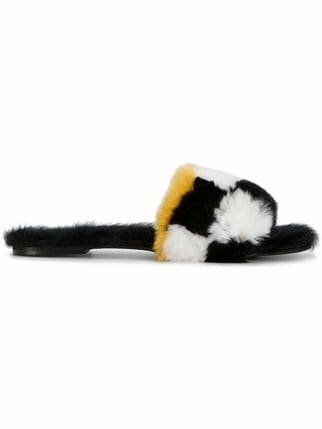 These rabbit fur sandals feature a check pattern, an open toe, a branded insole and a flat rubber sole. Popular amongst many celebrities, MR & MRS Italy regenerates functional and timeless garments. 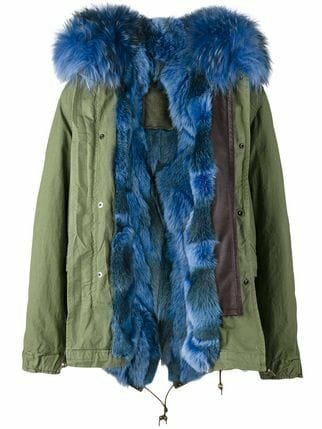 Originally upgrading iconic parka coats to a high level of luxury, now the Italian brand adventures into other items, offering uniqueness to the everlasting models, such as the bomber, the trench, the padded and many others. This eccentric bomber was fashioned with unusual detailing. 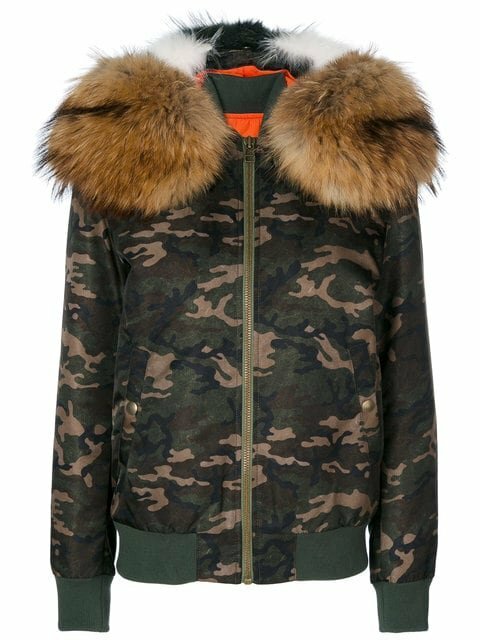 From military green pure silk and cotton, its main characteristic is the bright colourful detachable raccoon fur cascading down the zipped neckline. The jacket features a ribbed collar, long sleeves with ribbed cuffs, front and rear flap pockets, a ribbed straight hem, a beaded round patch to the chest and an internal locker loop. Founded in 2007 in Italy, MR & MRS Italy interchanged creationists to place Andrea Bucalossi in command in 2013. Recognised as a luxury symbol of functional and timeless coats, many attires are crafted by hand, and their trademark is the lined, colourful fur. This AW17 bomber jacket was fashioned from military green cotton blend and cotton, trimmed with ribbed cuffs, hem and collar. 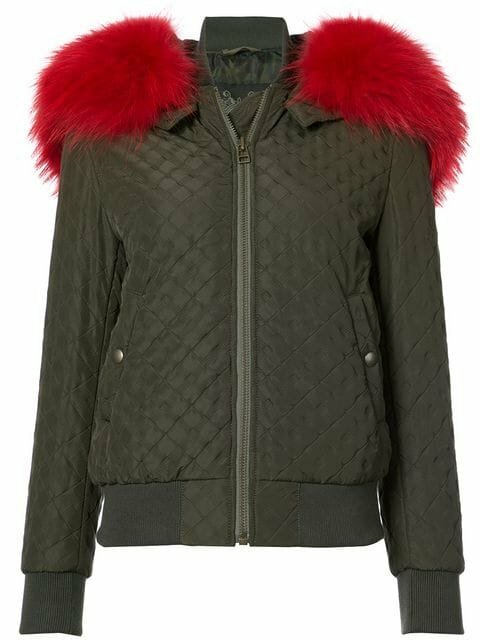 The model can be adapted to your liking and function, where you can remove the raccoon dog fur trimmed hood. 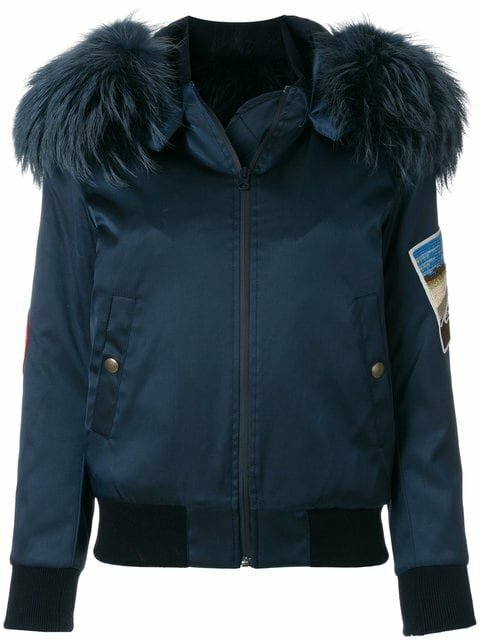 Lined with matching blue rabbit fur, this warm jacket also features long sleeves and functional side snap button pockets. Founded in 2007 in Italy, MR & MRS Italy interchanged creationists to place Andrea Bucalossi in command in 2013. Recognised as a luxury symbol of functional and timeless coats, many attires are crafted by hand, and their trademark is the lined, colourful fur. This AW17 bomber jacket was fashioned from tonal green camouflage cotton blend, trimmed with ribbed cuffs, hem and collar. The model can be adapted to your liking and function, where you can remove the racoon fur trimmed hood. Internally quilted, this military inspired jacket also features long sleeves and functional side snap button pockets. Hand wash only. Originally a brand of exclusively classic, high-end parka coats, the Italian house emerged as a reference amongst the elite and soon enough evolved to a broader range of unique vintage-inspired items. 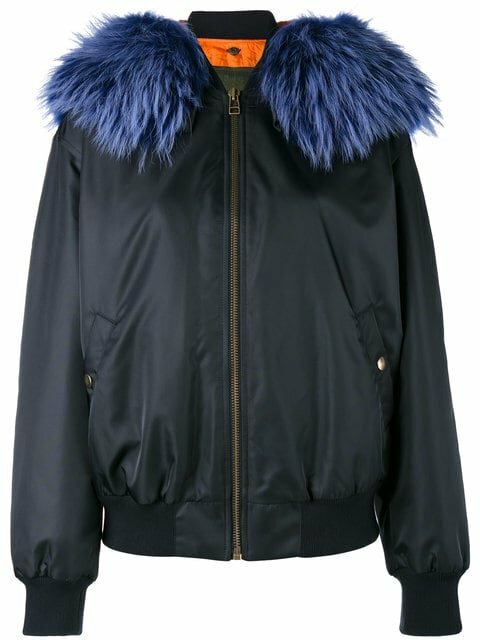 This deep blue bomber jacket was fashioned for SS17, trimmed with soft blue racoon fur and displaying a quilted popping orange lining. The functional hood can be removed with a simple pull, attached by practical press studs to the oversized silhouette. With long sleeves and ribbed cuffs and hem, it also features necessary side snap button pockets. 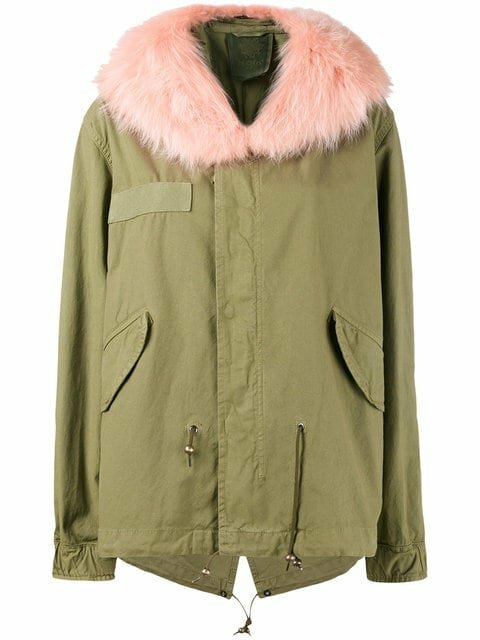 Khaki and pink canvas pink racoon fur hood unlined parka jacket from Mr & Mrs Italy. 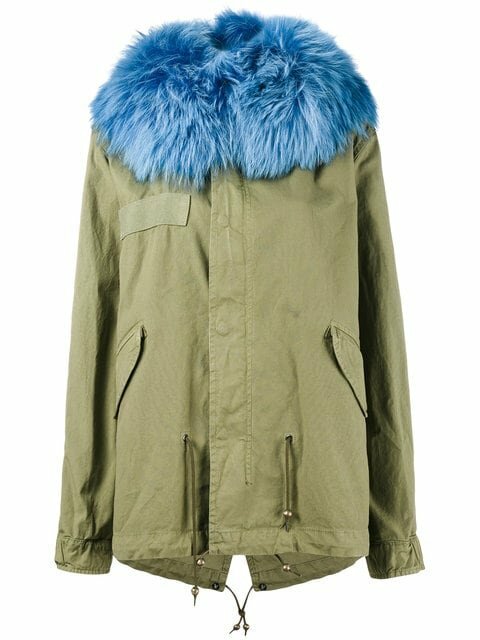 Khaki and blue cotton Blue Raccoon Fur Trimmed Parka Jacket from Mr & Mrs Italy. Blue cotton slim fit embroidery bomber jacket from Mr & Mrs Italy. Originally a brand exclusively of classic, high-end parka coats, the Italian house emerged as a reference amongst the elite and soon enough evolved to a broader range of unique vintage-inspired items. 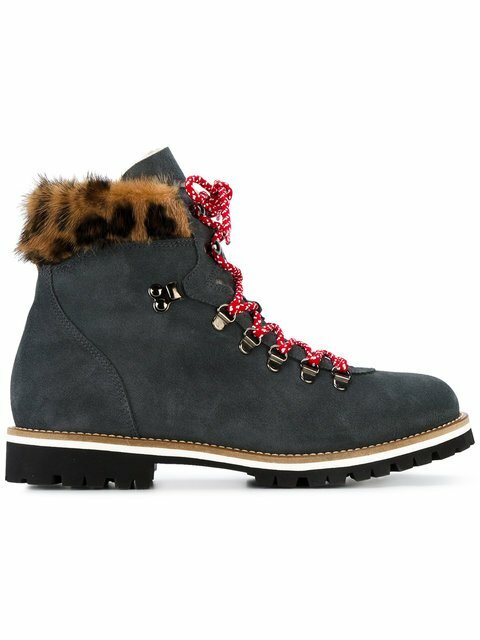 These hip ankle boots were crafted in Italy, fashioned from grey suede and leopard printed mink fur, featuring an ankle length, a lace-up front fastening, a ridged rubber sole, a stitch detail and a fur trim. 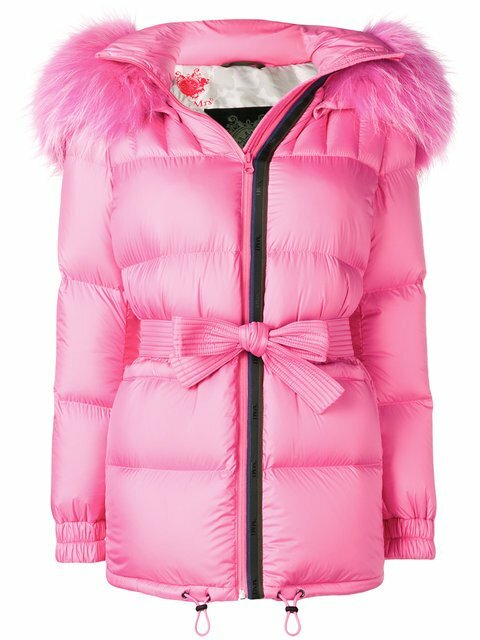 Pink feather down blend jacket from Mr & Mrs Italy featuring a fur trimmed hood, a front zip fastening, long sleeves, a drawstring hem, a tie fastening, a full lining and a rear logo stamp.